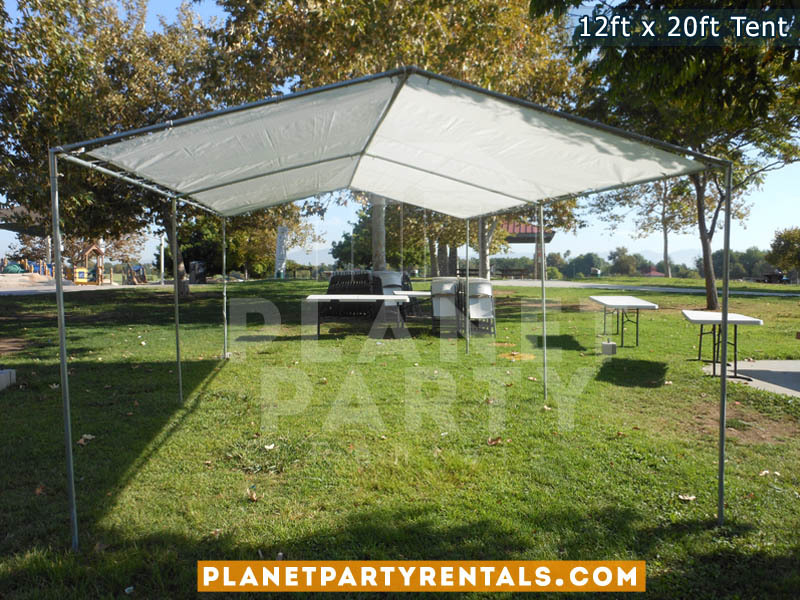 The 12 feet by 20 feet tent is perfect for events where you need to provide shade for your guests. The 12x20 tent does not include walls, the tent only includes the roof. 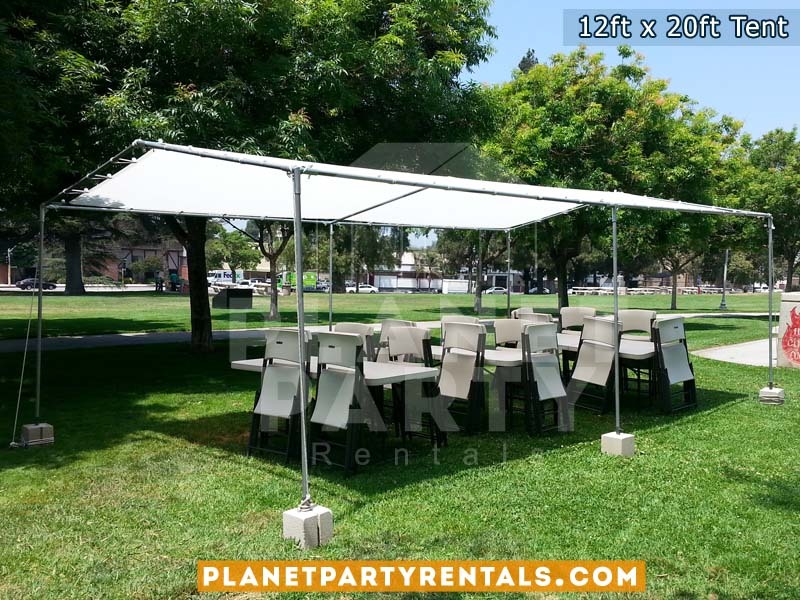 The 12x20 tent can fit approximately 32 chairs and 4 rectangular tables (6ft by 3ft). The tent can be placed on various surfaces, which include dirt, grass and cement. The 12x20 tent is supported by solid cement blocks on each end and held down with sandbags. 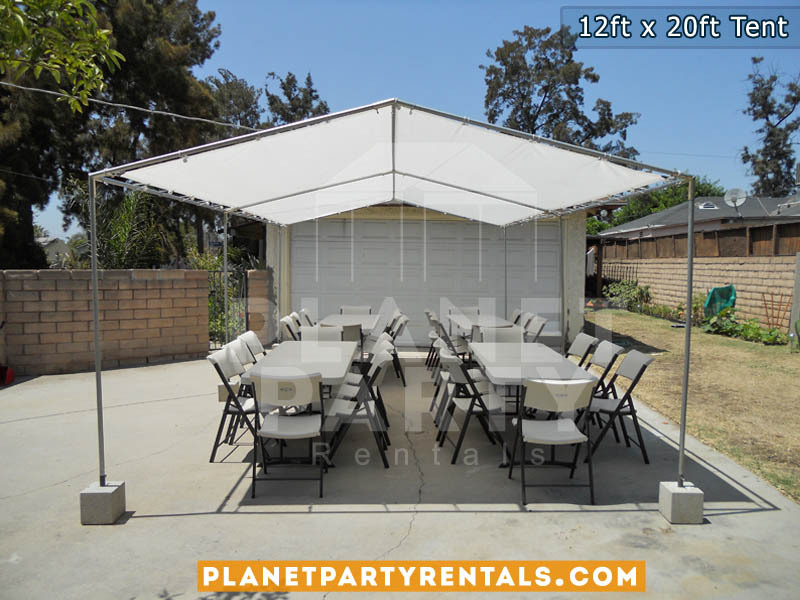 You can rent the tent only or you can rent it as a package that includes tables and chairs. If your are unsure if the Tent will fit in your home, please call and ask for a representative to measure the area where you intend on placing the Tent. *Not all request for measuring will be approved. 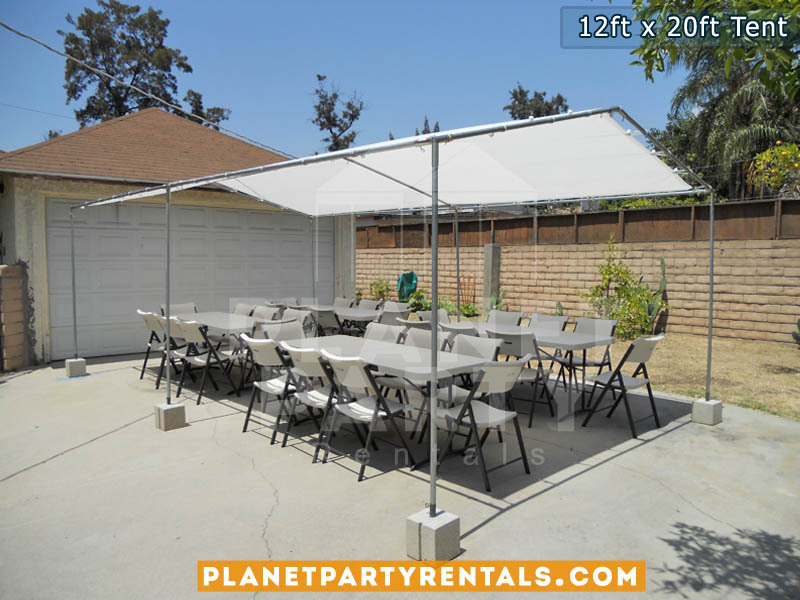 Please call us at 818 207 8502 to make your rental reservation. 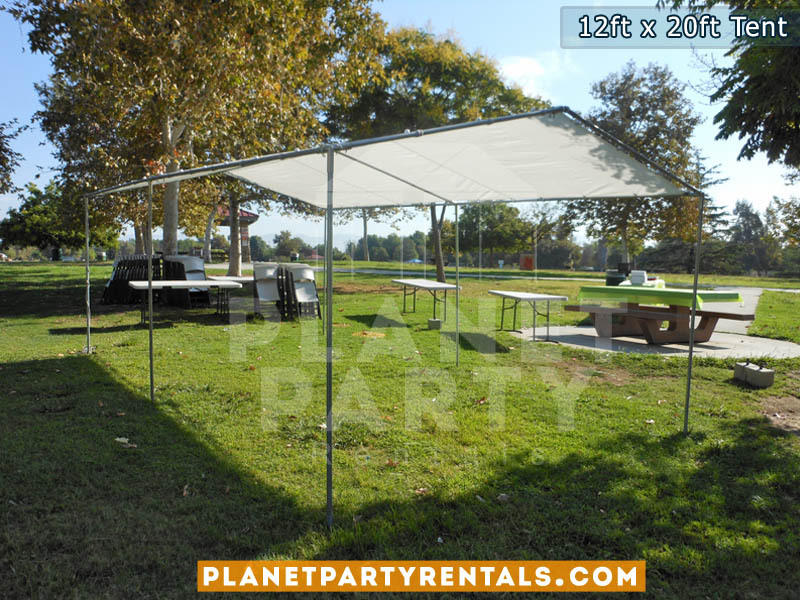 Tent Measurements: Length: 12 feet Width: 20 feet Height: 7 feet The rental of the tent is for the entire day. Tents and Canopies are picked up the following day, delivery personnel will ask client on day of delivery regarding pickup of equipment. 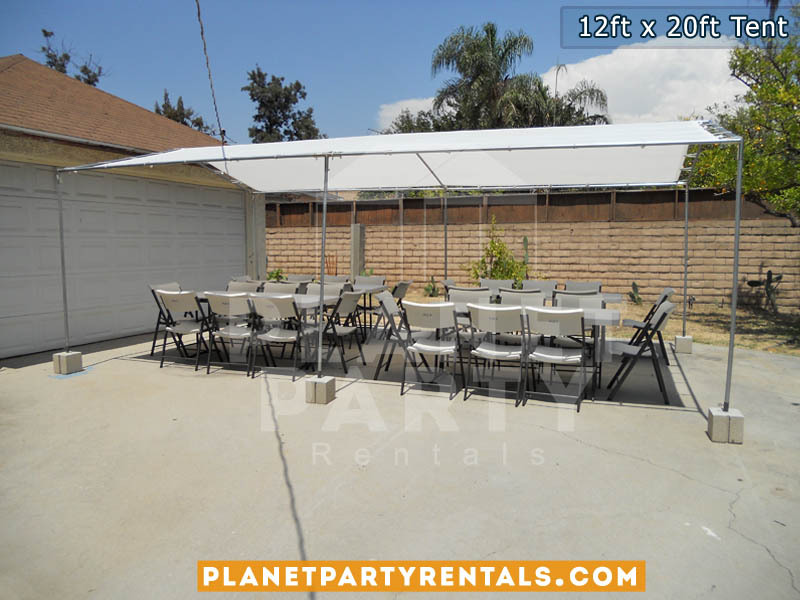 12ft x 20ft Tent with Rectangular Tables and White Plastic Chairs on Grass. 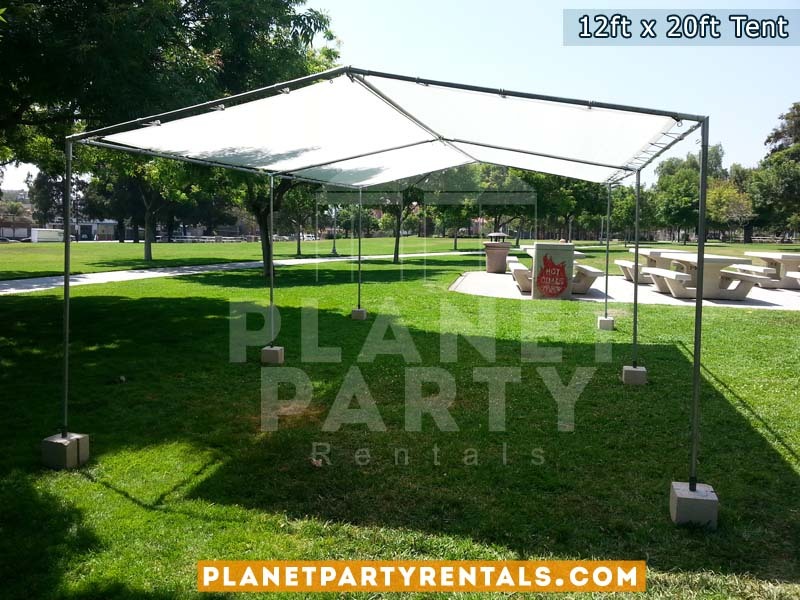 12ft x 20ft Tent on Grass.